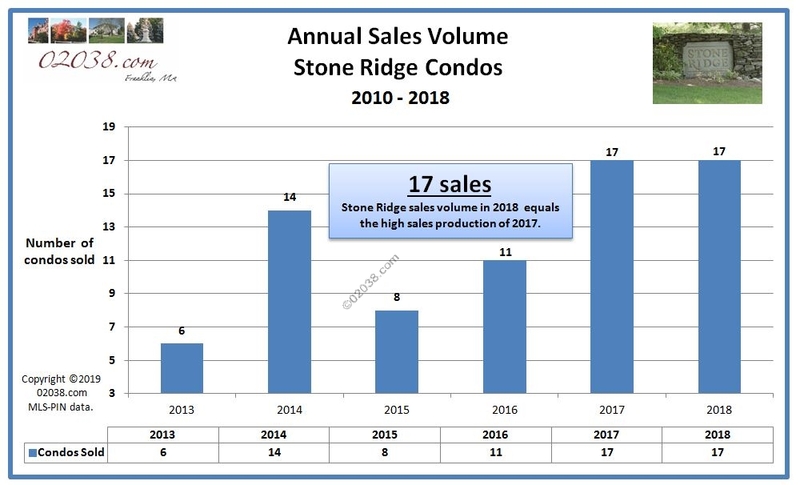 The average sale price of condos at Stone Ridge in Franklin, MA exceeded $300,000 in 2018. This was only the second time in the history of the association that the annual average price topped the $300,000 barrier. (Back in 2005, the average annual sale price at Stone Ridge reached $304,156). 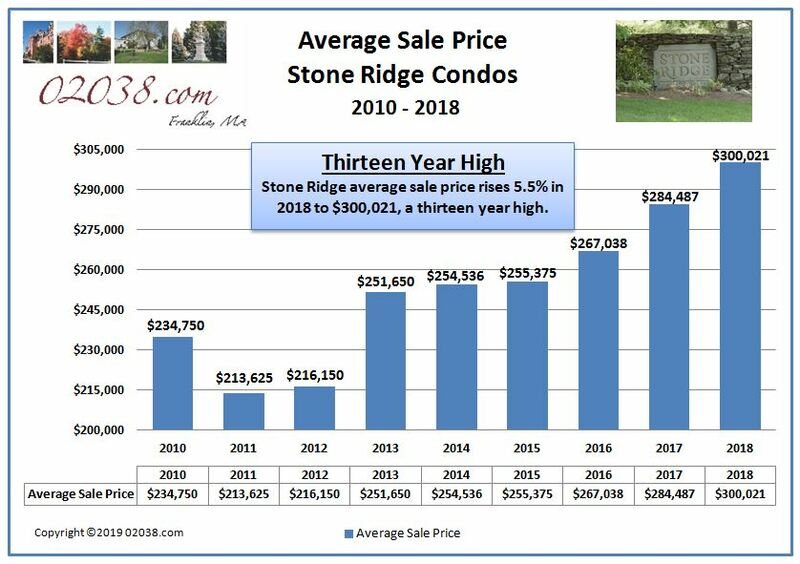 At $300,021, Stone Ridge’s average sale price for 2018 stands a whopping 40.4 percent above the prior market cycle low of $213,625 set back in 2010. For the second year in a row, seventeen units changed hands at Stone Ridge, according to data maintained by MLS-PIN. 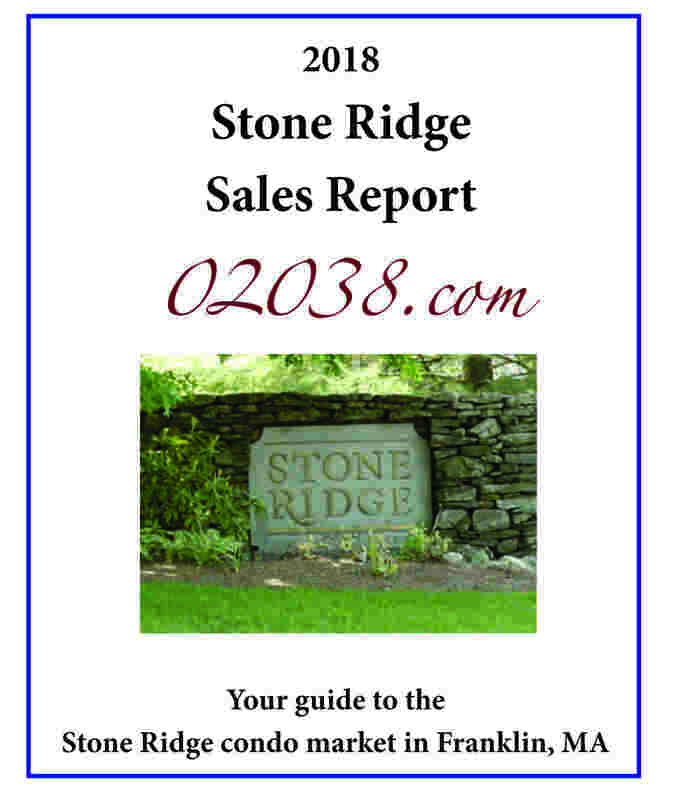 Follow the hotlink at right or in the image below to download the Stone Ridge sales report for 2018. Full basements and one car garages are just two of the the most sought-after features offered at Stone Ridge. Several of the floor plans at Stone Ridge also have at least one first floor bedroom with a full bath – that’s a prized combination for many buyers, especially at the affordable unit prices found at Stone Ridge! The location enjoyed by Stone Ridge is unbeatable! This condo community is close to a lot of shopping and services. And the Franklin State Forest and a YMCA are both seconds away! If you have any questions about buying or selling at Stone Ridge, Warren Reynolds is here to help you!